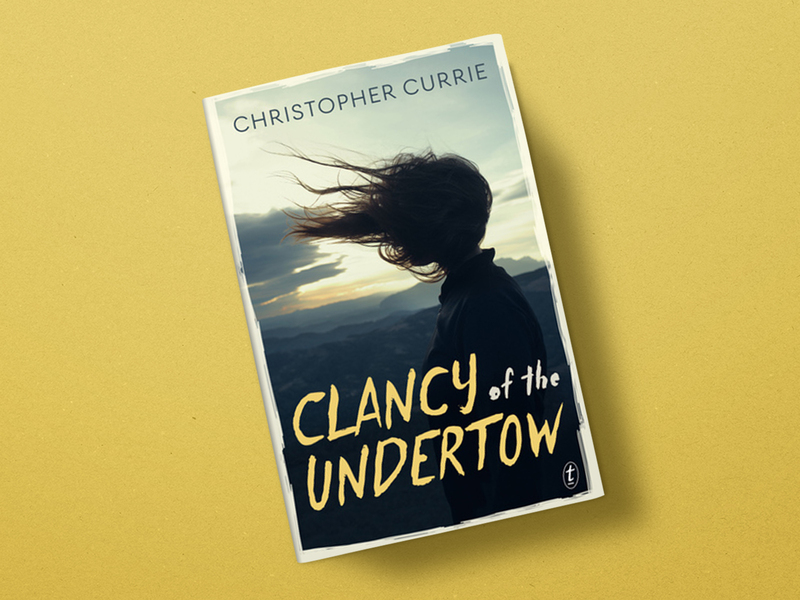 Clancy of the Undertow is Christopher Currie’s second novel, following from The Ottoman Motel, which was shortlisted for the Commonwealth Book Prize and Queensland Literary Awards in 2012. With Clancy, Currie (no relation) turns his hand to young adult fiction, and in doing so has absolutely nailed the voice of a young gay woman coming of age in rural Queensland. Clancy is a misfit who doesn’t even fit with the misfits - she’s sixteen and just trying to work out who the hell she is when her dad is involved in an accident that kills two local teenagers, her girl-crush finally notices that she exists, and new-girl Nancy walks into her life. We follow Clancy through the undertow of the summer before she heads into her final year of school, navigating a judgemental small town and a complicated family situation. Like her namesake (of Overflow fame), Clancy is ultimately longing for the same thing we all do when we’re growing up: for things to stop being so confusing and just get simple, dammit! Combine Clancy’s voice (oh that voice, so relatable!) with our dead-ended setting of Barwen (which not only reminds me of my own hometown, but also of the starkness of Kenneth Cook’s Bundanyabba in Wake in Fright, stir in relationships with a diverse cast of characters, and you’ve got a recipe for an excellent Year 9 (and above) English theme-analysis. Seriously, this book would make an excellent addition to the curriculum. Currie’s mature handling of a range of themes - from friendship to love, to LGBTQI relationships, family conflict, mental health, class prejudice and everything in between - has me hanging for my book-loving friends to read it because I just want to talk to someone about EVERYTHING! Garry Disher’s The Divine Wind came to mind several times while I was reading Clancy, perhaps because there’s some similarity in themes of friendship, love and alienation (though they are very different narrative approaches), but also because they both nail voice, character and sense of place to a similar degree. What I really love about Clancy is that her sexuality is not peripheral to her identity. Currie hasn’t created a character that just ‘happens to be’ gay; he’s carefully examined the added confusion and heartbreak that comes with coming of age as gay in a small town. When we ask to see more diversity on our screens or to read more diversity in our books, we’re not just asking for visibility/representation, but deep and critical engagement. It’s not enough for a character to just ‘happen to be’ gay or Asian or visually-impaired or living with mental illness; we need to experience what it means to navigate those things in the world we live in. Currie delivers this with Clancy’s sexuality and it is a great strength of the book. I must admit however, that I was a little surprised - having read several reviews touting Clancy as a young aboriginal gay woman - to find one incidental reference to her aboriginally in the form of a passing curiosity of heartthrob, Sasha. Of course I can’t force Clancy’s aboriginality to be a core part of her identity in the way that her sexuality clearly is, but it sat a little awkwardly with me that she essentially brushed off an element of her identity that, having grown up in a small town myself, I know would not be perceived by others to be peripheral. There’s a great action sequence towards the end, but it’s really the characters and relationships that gently pull us through Clancy’s undertow. Be warned, it’s a one-sitting read, so don’t start too late in the evening or it’ll be a 3-coffee day tomorrow!